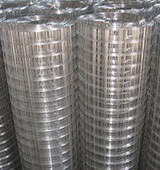 Xinhui Welded Mesh is the market leader in the manufacture, processing, fabrication and distribution of welded wire mesh. With over many experience in the welded mesh industry we are the obvious choice for all your multi mesh needs. Centrally Located in Hebei, with easy access to the motorway network and Tianjin port, offering fast delivery in the world and beyond. Weldmesh has an infinite number of uses, some of the most general applications being: partitions and enclosures, machinery and window guards, ventilator guards, tree guards, shelving, racking and grills. Safety barriers, security cages, fireguards and fan guards. Fencing and gates, stairways, balustrading and catwalks. Agricultural and horticultural applications, poultry pens and flooring, animal pens, cages and aviaries.